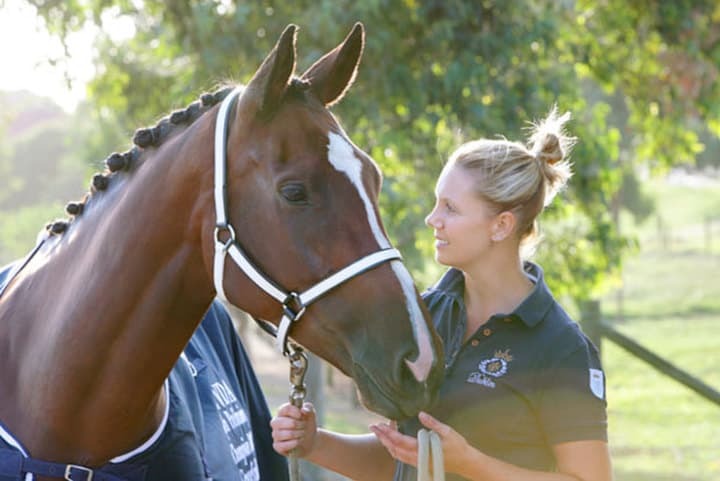 The Warmblood mare Gracefield Fudge and her owner/rider Jess Edmonds are enjoying a sweet partnership in the highly competitive sport of dressage in the Hunter Valley. 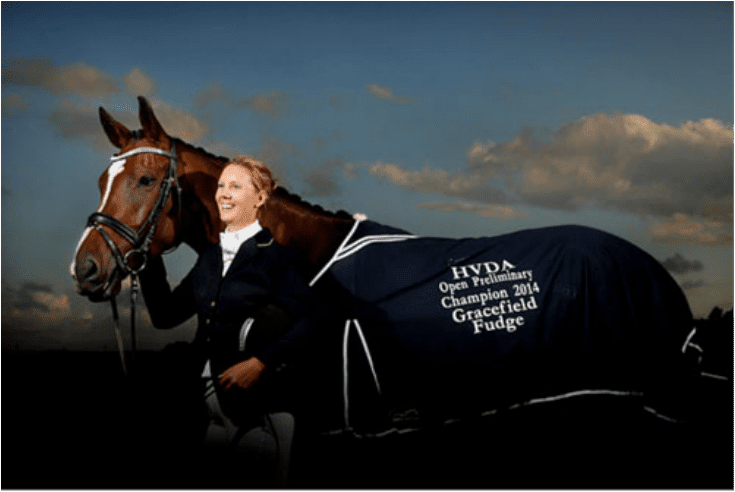 Recently they were named Preliminary Champions for the year by the Hunter Valley Dressage Club, having won and placed at numerous competitions throughout the year. They have come a long way since Jess bought Fudge as a raw unstarted two year old. She is now 6 years old and about to have her first Medium start. But it has not always been plain sailing. 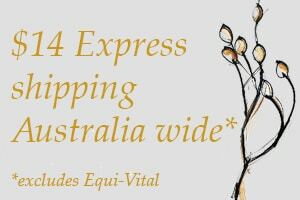 Jess recalls “I was lucky that my partner Johnny O’Hearn who has harness horses is a long time client of equine herbalist Victoria Ferguson. So we got Victoria to formulate a natural diet for Fudge as soon as she got back from being started by Phil Rodey”. “We also needed Victoria’s herbal remedies for quite a few problems in the early days. Firstly when she was in season she was really bad, she used to buck all the time, but now you can’t even tell when she in season, thank heavens. Also she used to suffer a lot from the Qld Itch but a short course of remedies and maintaining her on the natural diet has sorted that out as well.” Jess says Fudge is so quiet to take out, just the same as she is at home and she gets so many compliments about how she looks on a very simple and inexpensive feeding program. Fudge has been known as a bit of a tricky character so Jess took a while to find the right coach, she has been training for 6 months now with International Grand Prix Rider Sheridyn Ashwood and that partnership is working really well. Fudge is getting better as she matures and Jess is delighted that she is always up there with the big names in such a competitive environment, always scoring in the mid to high 70’s. Gracefield Fudge is by Larapinta Freespirit, by Freestyle a successful sire from the Florestan line and out of the Danish warmblood mare Gracefield Serena. THE VF NATURAL DIET – THE EQUINE PALEO DIET ! The VF Natural Diet was developed 20 years ago by Equine Herbalist Victoria Ferguson as the foundation for natural health and healing and to provide preventive nutrition. This concept aims to provide each horse with a diet balanced to suit it’s individual needs so that all the body systems are receiving optimum nutrition for energy, growth, repair and maintaining the immune system in the best possible order. This helps to ward off illness hence the term “preventive nutrition” and also helps the horse to recover from any illness or injury at a much faster rate. Every natural feed item and herb used in the diet has its own specific role but they all work together to achieve the best outcome for the performance horse. It could be likened to an Equine Paleo diet!